The TRH444 is a compact turbidity analysis instrument designed for precision measurement of turbidity. The meter is equipped with an advanced microprocessor that results in long-term stability over a wide range of operational conditions. With its low level precision and accuracy, the TRH444 meets "GLP" standards for water and wastewater analysis. The TRH444 can be used to detect turbidity in three selectable ranges (0.01 to 10, 0.1 to 100 and 1 to 1000 NTU units) for turbidity. Other features on this all-in-one meter include automatic range selection, signal averaging, data logging up to 99 readings, RS232 interface port (for PC or printer connection) and language selection (English, Spanish or Portuguese). With it’s self guided programming menu the TRH444 is an ideal choice for regulatory monitoring, process water testing, and environmental water analysis in the field or laboratory. 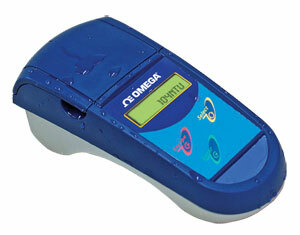 참고: Comes with 9 Vdc battery, calibration solutions, carrying case and operator’s manual.